The USS Abraham Lincoln has a Cadet Corps assigned to the ship. The Cadets are children between the ages of 10 & 18. 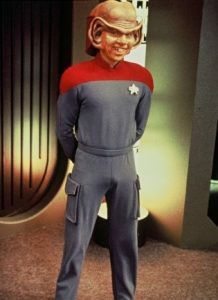 Cadets are officially attending Starfleet academy. Cadets earn promotion points in the cadet ranks through report cards and all of the same ways adult Starfleet members earn promotion points.